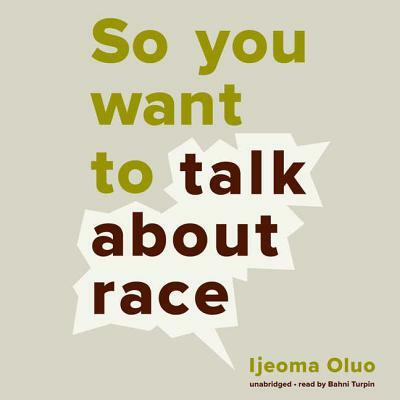 A current, constructive, and actionable exploration of today's racial landscape, offering straightforward clarity that readers of all races need to contribute to the dismantling of the racial divideIn So You Want to Talk About Race, Editor-at-Large of the Establishment Ijeoma Oluo offers a contemporary, accessible take on the racial landscape in America, addressing head-on such issues as privilege, police brutality, intersectionality, micro-aggressions, the Black Lives Matter movement, and the "N" word. Perfectly positioned to bridge the gap between people of color and white Americans struggling with race complexities, Oluo answers the questions readers don't dare ask, and explains the concepts that continue to elude everyday Americans. Oluo is an exceptional writer with a rare ability to be straightforward, funny, and effective in her coverage of sensitive, hyper-charged issues in America. Her messages are passionate but finely tuned, and crystalize ideas that would otherwise be vague by empowering them with aha-moment clarity. Her writing brings to mind voices like Ta-Nehisi Coates and Roxane Gay, and Jessica Valenti in Full Frontal Feminism, and a young Gloria Naylor, particularly in Naylor's seminal essay "The Meaning of a Word.